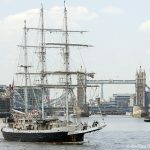 The three-masted tall ship TENACIOUS arrived in the capital this afternoon. 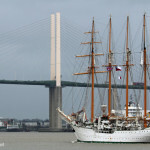 The blue bridge on the Isle of Dog's Manchester Road lifted at about 4pm so that the 54-metre long vessel could enter West India Dock. 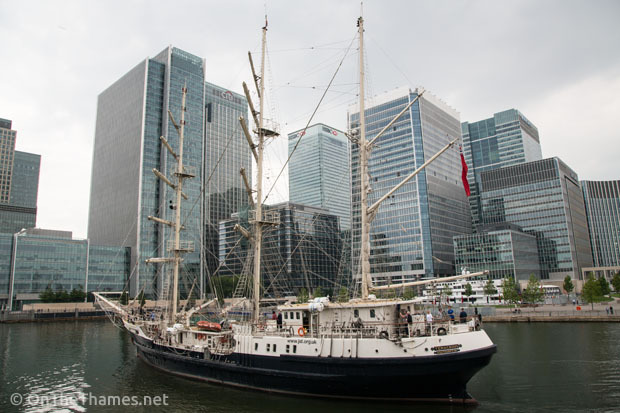 SV TENACIOUS was commissioned in 2000 and is operated by the UK-based Jubilee Sailing Trust charity. 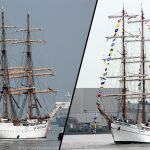 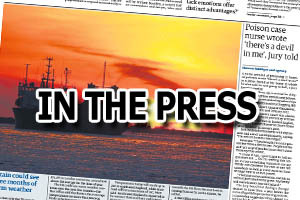 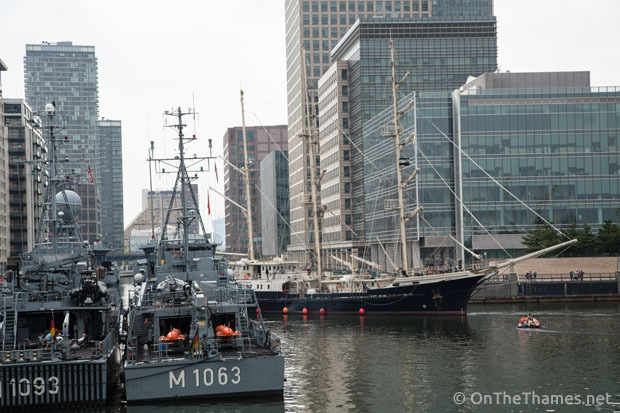 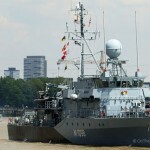 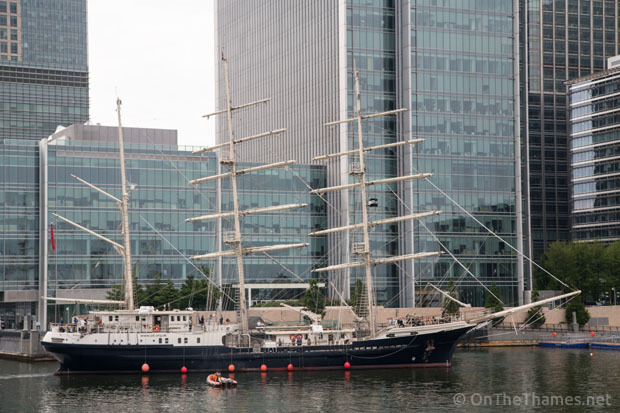 Crewed by disabled and able-bodied sailors, the barque entered a busy dock which also currently has the superyacht EMELINA and ten vessels from the German navy. 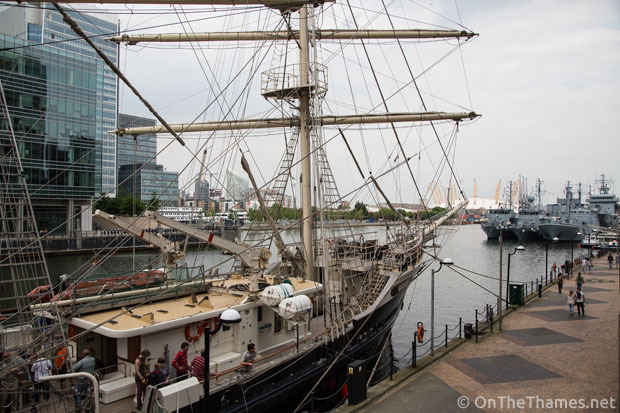 Bespoke features on the vessel that make it available to disabled and able-bodied crew include hearing aids, wheelchair lifts, integrated braille instructions, a joystick for steering the ship and an audio compass for steering the shop without vision. 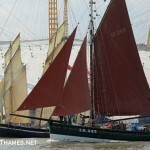 Voyage crew spaces are available on for her summer programme of voyages for anyone over the age of 16. 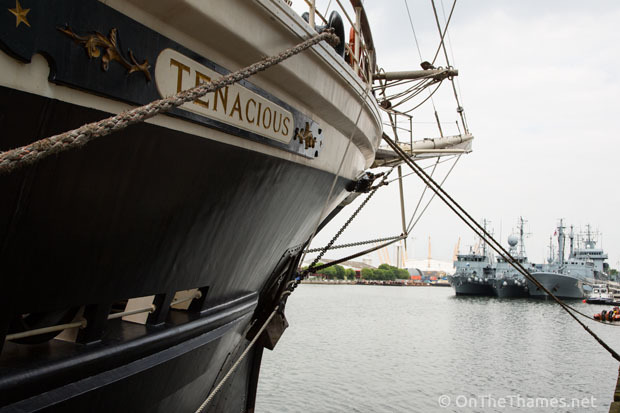 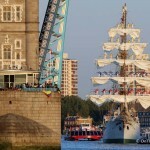 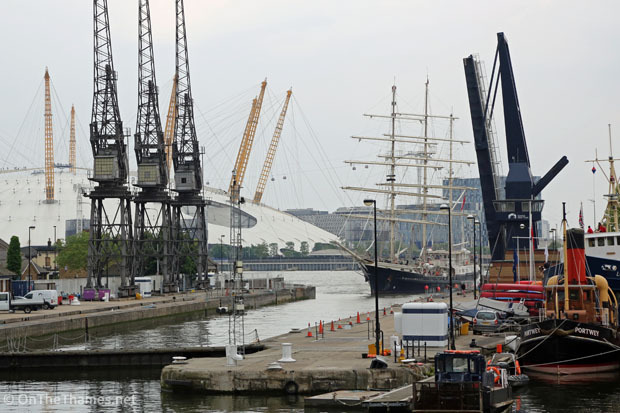 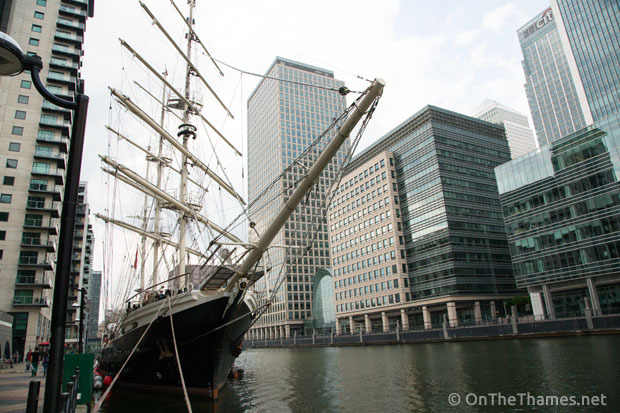 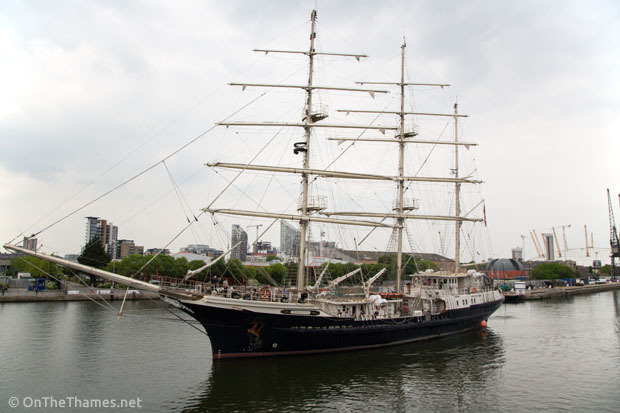 TENACIOUS will also be back in London this September for the Royal Greenwich Tall Ships Regatta.